Stay close to shopping, nightlife and restaurants. Take the tram to the park Vigelandsparken, or go for a walk along Karl Johan. Enjoy a productive workday in our modern conference centre, and enjoy a meal at Bjorvigen Mat & Vinhus after a busy day. 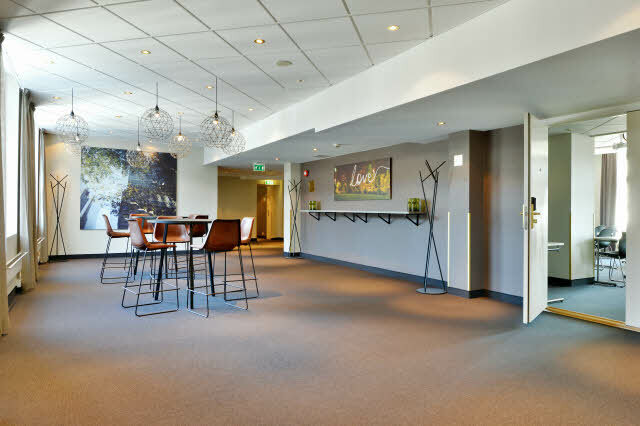 Scandic Oslo City’s central location offers many possibilities, especially if you are visiting for business. Bring your work to our modern conference centre and enjoy productive days in our comfortable meeting rooms with free WiFi. In the evening you can seek out the top nightspots, or just retreat to the hotel’s restaurant and welcoming lobby bar. If you would like to exercise during your stay, there is a gym. We also offer a wonderful sauna to relax in. Scandic Oslo City is just a stone’s throw away from Karl Johans gate and the Opera house. With its central location right by Oslo Central Station, the hotel is a perfect base to explore Oslo. Right outside you will find the tram to the park Vigelandsparken, Ekeberg Sculpture Park or shopping and nightlife in Grunerlokka. If you would like to go farther, the underground and train stations are just 5 minutes from the hotel entrance, offering easy access to Holmenkollen ski jumping hill, the Ski Museum and Oslo airport.